Hello everyone. 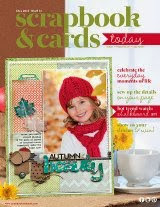 I'm so excited today to be a guest designer for We R Memory Keepers. WRMK sent me some items from the hip new Feelin' Groovy collection and I had a blast playing with the bold colors and patterns. The Feelin' Groovy collection has a fun vibe to it, which makes it perfect for all kinds of celebrations: birthdays, graduations, new baby. 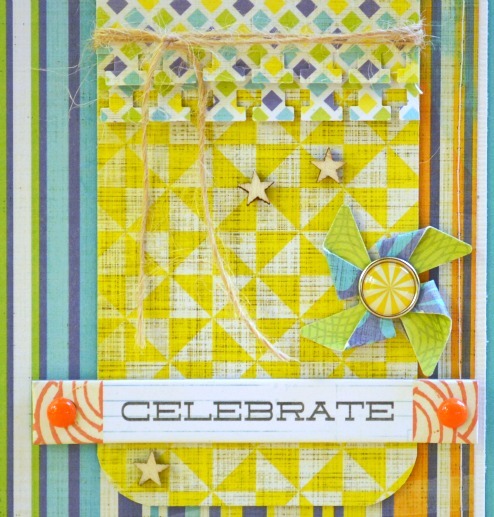 I love that happy yellow patterned paper and made my own pinwheel to echo those in the pattern. For my layout, I used the paper named Groovy as my backdrop. The blue-green palette and icons reminded me of the beach and made a perfect backdrop for my page. 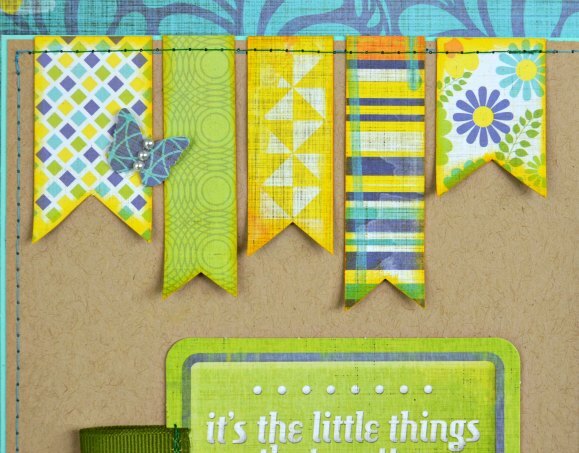 The banners show some of the playful patterns in the Feelin' Groovy collection. 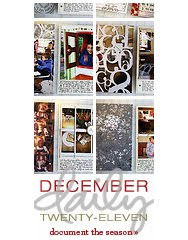 I have additional close-ups and details of this layout on the WRMK blog. Giveaway: I have some Feelin' Groovy items from WRMK up for grabs as well as samples of twine and washi. 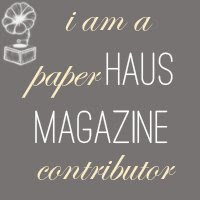 To enter, please follow my blog and leave a comment. The giveaway is open until midnight on Sunday. I'll draw a random winner and post it here next Monday, June 3. Love your pinwheel card and the layout of Cory is too darn cute. He sure does love his ice cream! These are awesome! You such amazing things with color and pattern. Such an awesome layout en card. I do love the bright colours of this cute line of WRMK. Hi Izzy...haven't been by to visit for awhile! Life just gets so busy at times...I will try to do better! This is a fun card and great layout. They are sure vibrant colours and patterns. 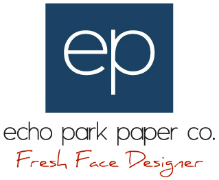 The layout papers you chose are perfect for your beach theme...love the little banner. 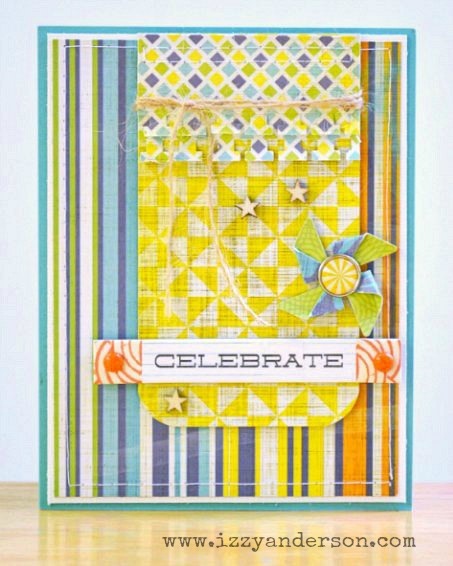 The card is so cheery, bright and fun looking...Glad you made the pinwheel as it was fun to see the pattern on the other side! Congrats for being a WRMK's guest designer. 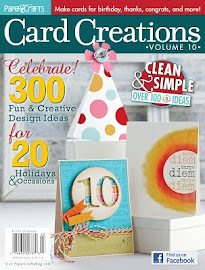 I love your layout and card they look fun. Thanks for giving us some goodies, I have subscribed to your blog. Beautiful work. Love the banner and palm tree on your LO! Love how you put your goodies to work! Adorable card and LO! Hi Izzy! I love your card and the colours. I am already a blog follower. Have a great day! So cute Izzy!! 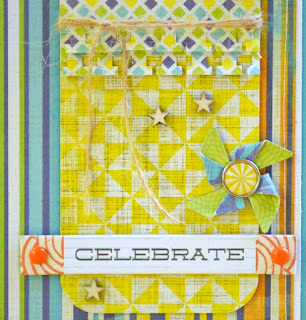 Love the pinwheel on your card and the cute twine circle on your palm tree!! Love how you framed the picture with banners and the bolder patterned paper. LOVE these! Didn't even think of the pinwheels and wouldn't have tried this type of LO with these patterns but so CUTE!! Beautiful card and layout. What fun paper and colors to work with. Hi Izzy, found you through the Outlawz Paper Ala Mode, and like your cheery card. So bright & many things to see on this beautiful card. Was interested to see you live in Charlotte. I'm just down the road in Greenville, SC, so we are almost neighbors. We'll have to exchange some good places to shop ideas. Just became your newest follower, and hope you'll visit me too when time permits. Hugs & nice to meet ya. I love this card! I am geeking out over pinwheels right now. 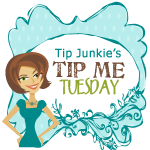 I have followed you for awhile on bloglovin'. Congrats on the guest spot, Izzy! I love how you gave these papers a tropical twist. These are beautiful!! LOVING the colors and love love love that palm tree on the lo!!! These are fabulous! I love the bright colors! Your layout is over the top adorable ! LOVE LOVE LOVE it! And cute card too! Love the colors in this. Your projects are all very warm and summery. Congrats on the guest dt!! 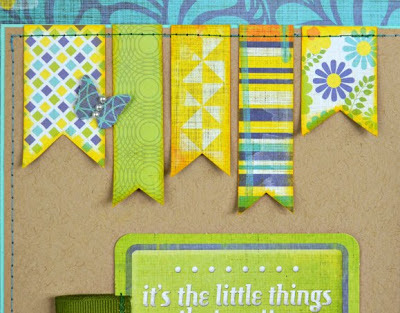 I'm loving these happy colors and the projects you created!! They are so happy and colorful and the design is perfect!